Jesus Christ was born. Now that is worth celebrating!! There are some, though, within Christendom who oppose celebrating Christmas because as they contend, “Jesus was not actually born on December 25 and the early Christmas celebrations coincided with the pagan winter solstice feast in honor of Mithra, the unconquered sun-god.” The “first” celebration of Christmas (meaning “coming of Christ”) was observed in 336 AD, some twenty-four years after Constantine, the Roman Emperor, declared Christianity the religion of the empire. Pope Julius I sought to replace the pagan feast with a new feast honoring and celebrating the birth of Jesus Christ, the “Sun of Righteousness” (Malachi 4:2). In the years that followed the Christmas celebration slowly spread throughout Christendom. I would not spend a minute arguing with someone who wants to object to celebrating Christmas because of its early origin. I personally don’t know anyone who seeks to celebrate the sun-god Mithra, but there are millions and millions of people at Christmastime who exalt Jesus Christ, our Redeemer and Savior. If one fails to celebrate the birth of Christ who is the foundational reason behind Christmas then one truly misses out on experiencing the most wonderful time of the year. It is not important when Jesus was born, but that He was born…and that is worth celebrating whenever we choose to celebrate! Now the question that I have had asked me many times over the years is, “If Jesus was not born on December 25, when was He born?” Without being dogmatic, let us see if we can deduce an approximate time of Christ’s birth by examining the Biblical record. If it can be ascertained when Elizabeth conceived John the Baptist, then we can arrive at an estimated calculation for Christ’s birth. The Bible records that Zacharias, Elizabeth’s husband, was informed by the angel Gabriel that his wife would give birth to a child who would be the forerunner of the Messiah. 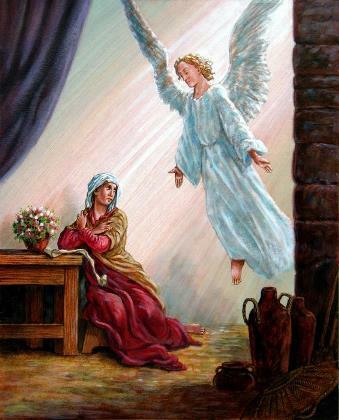 Zacharias, a priest, was ministering in the Temple when the angel visited him (Luke 1:8, 24-26). Luke 1:5 tells us that Zacharias was a priest of the division of Abijah. It is discovered from First Chronicles 24, the Talmud, Mishnah, and other Jewish sources that the division of Abijah served the second half of the fourth month of the Jewish religious calendar, which began in March with the Passover. This then would have been in mid to late June when Elizabeth conceived John the Baptist. Luke goes on to record that it was six months after Elizabeth became pregnant with John the Baptist (June) that Mary was informed by the angel Gabriel that she had been chosen to give birth to the Christ Child (Luke 1:31, 36-39). So six months later would have been near the end of December when Jesus was conceived by the Holy Spirit in the womb of Mary and when she visited the home of Elizabeth to inform her that she had been chosen to be the mother of the Messiah (Luke 1:36). So fifteen (15) months after the conception of John the Baptist, Jesus would have been born. That would have been in the seventh month of the Jewish religious calendar, which would have been in late September. Such a time for the arrival of Christ would have been perfect timing with the most joyous of Jewish feasts, as the end of September was the beginning of the Jewish Feast of Tabernacles. 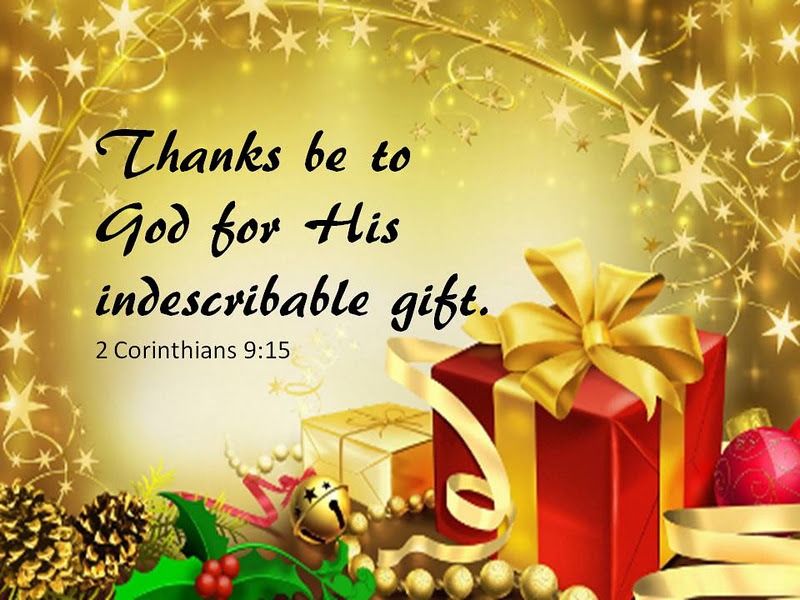 It would only be appropriate that Christ be born at a time that would coincide with such a feast of thanksgiving and joyous reliance upon God’s grace and watchcare. Did John give us a hint of the time of Christ’s birth? John 1:14 tells us that the Word (Christ) was made flesh and “dwelt” among us. The Greek word translated “dwelt” literally means He “tabernacled” or “pitched his tent” among us. Jesus came to tabernacle with man. So did Christ’s birth coincide with the Feast of Tabernacles? If so, it would have been a most fitting time. While this timeline some would consider speculation it seems to fit with the biblical record. Again, the exact time when Christ was born is not important, what is important is that He was born. And in the birth of Jesus Christ the Creator took upon Himself the form of a servant and clothed Himself in human flesh to “tabernacle” among us. His destiny went beyond a wooden manger filled with straw, but a rough wooden cross where He as humanity’s Substitute was nailed… it was there He paid a sin debt that He did not owe but that you and I could never pay. To the heart that has by grace been awakened to the amazing and marvelous truth of Christ’s finished work on the cross, the joy of Christmas dwells in one’s soul every day. 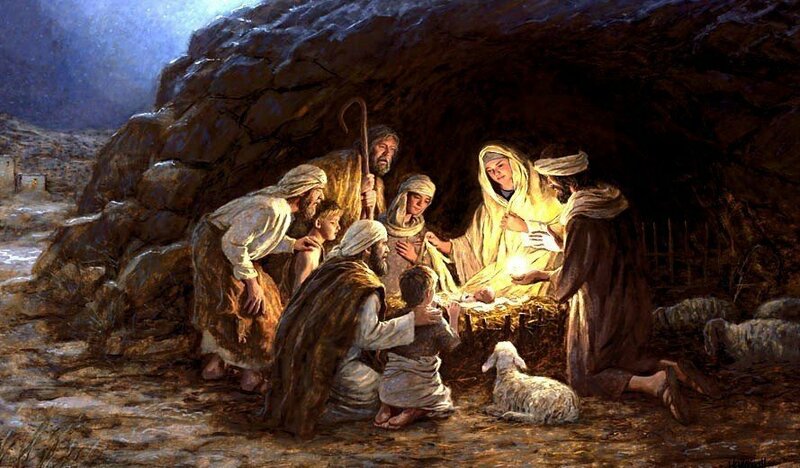 While there was no room in the inn for Christ on the night of His birth, those who have experienced His birth in the inn of their heart can celebrate Christmas daily. While there are those who like to wrangle over the exact time when Christ was born, this I know…He was born and to those who know Him as Savior the joy of the Christmas season can dwell in one’s heart 365 days out of the year!!! A few years ago I had a question asked of me that I have never had asked me before or since! It was a good question to ask, it being the Christmas season. The question was, “Does the Bible say that angels sing?” The person asking me the question was under the impression angels sing, but someone had told them there is no place in the Bible where it says angels sing. Must we abandon our singing of, “Hark The Herald A ngels Sing”?!?! I think there is Biblical evidence that angels do sing. One truth is for sure, the Bible does not say they don’t sing! Job 38:7 seems to clearly indicate that the angels sang at the creation of the world. “The Lord answered Job out of the storm. He said…’Who marked off its dimensions?…who stretched a measuring line across it? On what were its footings set or who laid its cornerstone – while the morning stars sang together and all the angles shouted for joy?’” (Job 38:1-7). In this passage the words “morning stars” is another term for angels and is an example of Hebrew parallelism, where the second line of Hebrew poetry repeats the same idea as the first line in different words yet they have the same meaning. In other words, the “morning stars” (angels) sang and shouted for joy at creation. Whether angels sang or not was never a question with the Jews. Found in Jewish tradition is the belief that in order for angelic songs of praise and worship to be heard before the throne of God at all times the angels sang in shifts. In the Midrash, which is a collection of Jewish teachings as found in the Torah, is recorded that when Moses spent his forty days with God that he knew what time it was by the angels changing singing shifts. The word praise points us to singing. Praising the Lord and singing are inexorably connected. Praising the Lord on such a joyous occasion as the birth of Christ how could such praise not lead to singing? The announcement of Christ’s birth was not sterile and mechanical. It would be unimaginable to think the angels didn’t sing at the birth of our Savior. It would be unimaginable to think that whatever the angles had to “say” their praise naturally flowed into in joyous singing. 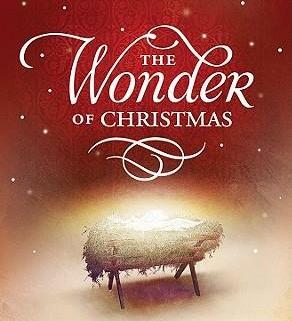 To say otherwise is to rob the Christmas story of its wonder, joy, and heavenly excitement. While the four beasts and twenty-four angels were singing the next verse says the angels joined in with them. 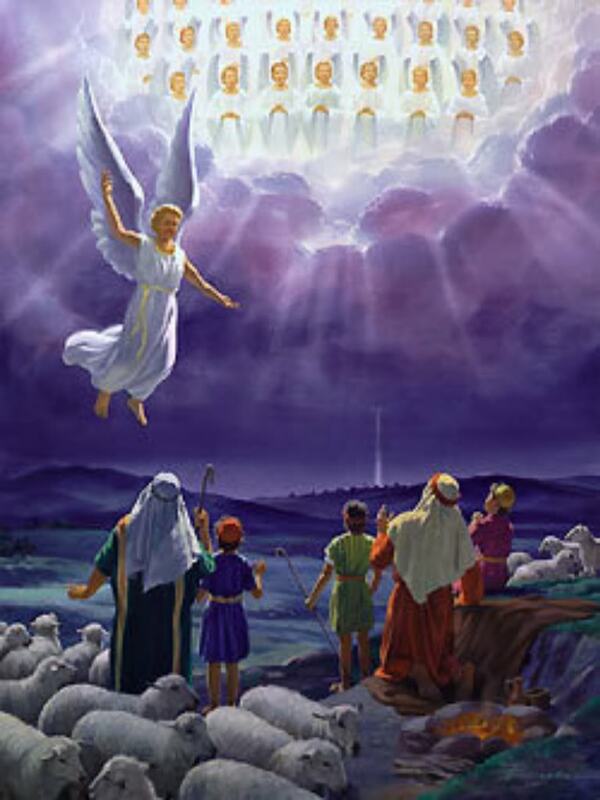 When speaking of the angels, Revelation 5:11-12 declares, “And I beheld, and I heard the voice of many angels round about the throne and the beasts and the elders: and the number of them was ten thousand times ten thousand, and thousands of thousands; saying with a loud voice, ‘Worthy is the Lamb that was slain to receive power, and riches, and wisdom, and strength, and honor, and glory, and blessing.’” While the term “saying” is used, it is most clear the terms sung (v. 10) and saying (vs.10-11) are used synonymously as, again, verse 9 reads, “and they sung a new song, saying…” With chapters four and five of Revelation bathed in song, praise and worship, it is rather obvious that singing is implied and is the meaning, not just speaking. Do angels sing? I think the answer is obvious. God has created “every creature which is in heaven and on the earth” (Rev. 5:13), with an inner propensity for singing and exhorts us to sing and make melody in our hearts to Him (Eph. 5:19). At Christmas time if you listen closely you can hear angels singing all around us of the Good News that a Savior has come to dwell with us. This Christmas let us lift our voices in song with the chorus of angels who on that first Christmas night sang joyfully of our Savior’s birth. This Christmas let us raise our voices in praise and joyful song for our great God who came to walk amongst us. As we sing of the Christmas story we continue that crescendo of praise heard on that first Christmas night and that has continued to echo down through the ages. Sing joyfully. The angels do. Christmas has different meanings to different people. Some attempt to celebrate the season without any reference to Christ at all, for most He is the reason for the season. You can count me among those in the latter crowd. To celebrate the Christmas season without Christ as the honored guest is like celebrating a birthday for someone who isn’t even there! I wish there were words that would allow me to describe to you how wondrous Jesus is to me. I wish this Christmas season it was possible for me to paint a picture on the canvas of your soul of the wonder of Christ. Words fail me in my attempt to describe the indescribable Christ, but I will seek to try. In my sin He is the Forgiver of all my transgressions. In my unrighteousness He is my Perfect Righteousness. In my utter lostness He is my Savior. In my separation from the Creator He is my Mediator and Advocate. In my unlovableness He is the Lover of my soul. In my rebellion He became my Lord. In my spiritual poverty He is the Richness of my life. In my cloudy days He is my Shining Sun. In my failure He is my Restorer. In my vulnerability He is my Strong Tower. In my choices He is my King. In my barrenness He is my Fruitful One. In my lack He is my Fullness. In my wandering He is my Good Shepherd. In my thirst He is my Water of Life. In my search for truth He is the Eternal Truth. In my sorrow He is my Comforter. In my sadness He is my Joyous Song. In my fears He is my Prince of Peace. In my indecision He is my Counselor. In my life’s detours He is my Unchanging Road. In my regrets He is my New Beginning. In my perplexity He is my Wisdom. In my inability He is my Enabler. In my burdens He is my Burden Bearer. In my defeats He is my Conquering Hero. In my darkest night He is my Guiding Light. In my insufficiency He is my Sufficiency. In my loneliness He is my Immanuel, God’s presence with me. In my discouragement He is my Encourager. In my questions He is my Answer. In my deserts He is my Oasis. In my betrayals He is my Dearest Friend. In my distractions He is my Focus. In my entanglements He is my Emancipator. In my fiery trials He is my Refiner. In my temptations He is my Escape. In my interruptions He is my Appointment. In my disappointments He is my Promise. In my tears He is my Understanding One. In my discontent He is my Satisfaction. In my dead ends He is my Door. In my unutterable groanings He is my Intercessor. In my quietness He is my Word. In my distress He is my soul’s Calm. In my confusion He is my Certainty. In my chaos He is my Order. In my soul’s hunger for answers He is my satisfying Bread of Life. In my weakness He is my Strength. In my sickness He is my Great Physician. In my hopelessness He is my Living Hope. In my fleeting days He is my Ancient of Days. In the face of death He is my Resurrection and my Eternal Life. Where has the year gone? I can’t believe it is December already. We are now embarking upon the Christmas season. As the song says, “It is the most wonderful time of the year.” It is that time of the year that sharing, giving, good will and love seem to abound. But let us not forget among our many activities the reason for Christmas – the celebration of the birth of the Christ Child. There can be no Christmas without Christ. The wonder of Bethlehem is that our eternal God took upon Himself our flesh. It is beyond comprehension to think that our God would ever do such a thing. Yet He did. Being born into time we see our eternal God becoming the eternal NOW in Jesus; the One who is ever with us. To me the question is not how God became a man but WHY He became a man. Let us examine six reasons why God became a man. First, God became a man in order to REVEAL. In the person of Jesus God came to show us what He was like. Phillip on one occasion asked Jesus if he could see God. Jesus responded to Him by saying, “He that has seen me has seen the Father” (John 14:8-9). In Christ we find a God who loves, is touched with our hurts, who forgives, who judges sin, which walks by our side, who hasn’t given up on us, and who awaits for us to come to Him. If you want to know what God is like look at Jesus. Second, God became a man in order to be our REMEDY. In Mark 10:45 Jesus tells us He came to give His life a ransom for us. A ransom is given in exchange for someone or something else. In some Greek literature the Greek word translated ransom was used to refer to an antidote or a remedy. Christ came to be the antidote for our sin problem. We can in no way ever meet the perfect, pure holy standards of God. God is holy and holiness demands holiness in return which we are unable to comply. Holiness opposes sin and must judge it, therefore since we can’t comply with the demands of holiness the just reward for sin is separation from God. In Christ our God assumed our obligation. He lived the holy life we could never live and then took upon Himself on the cross the just judgment that must fall upon sin. He is the remedy, the antidote for our sin problem. That which we could not do He did for us, and the judgment upon sin which we deserved He took for us. What amazing grace that He would be our remedy; be our ransom. Third, God became a man in order to RECONCILE. In 2 Corinthians 5:19 Paul tells us, “God was in Christ reconciling the world unto Himself.” The word “reconcile” comes from the realm of friendship. God was in Christ making it possible, by His life and actions on the cross, for man to enter into a restored relationship with the God of the universe. Again, our sin separates us from being able to enter into a relationship with a holy a God. Jesus came that He might take the hand of God and the hand of man and restores the relationship that sin had severed. Shortly before going to the cross Jesus told His disciples, “Greater love has no man than this, that a man lay down his life for his friends” (John 15:13). Because He who spoke all things into existence became a man and laid down His life for us, it is possible for man to enter into a relationship of friendship with Him. Wow! Fourth, God became a man in order to REDEEM. Over and over again the Bible says in Christ we have been redeemed; “we have been bought with a price” (I Cor. 6:20). The word “redeem” comes from the realm of slavery; it means to see free. Christ came to preach deliverance to the captives and set at liberty them that are bruised (Luke 4:18). He came to free us from the guilt of sin, from sin’s destructiveness, from hopelessness, and from meaninglessness. Christ in the giving us His life on Calvary has paid the price to redeem us, to set us free. Fifth, God became a man in order to REBUILD. The Carpenter of Galilee is still in the rebuilding business. Life has a way of tearing us down; sin has a way of destroying; but Christ can rebuild in our lives that which life and sin has sought to destroy. He can rebuild our dreams, our hopes, give new meaning, give new purpose, and give new direction. He is able to take the beggar from the dust and set him among princes. Christ can restore in our lives that which the locusts has destroyed. No matter how we have been damaged, the Mater Carpenter can repair, restore and rebuild in our lives. Sixth, God became a man in order to RESIDE. 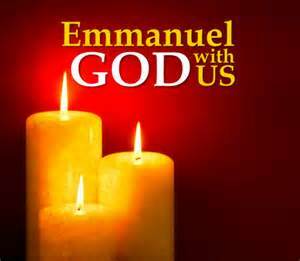 The prophet Isaiah said His name shall be called, “Emmanuel, meaning ‘God with us’ (Matthew 1:23). God became a man in Jesus Christ to reside with us daily, that we might know “God with us” each day of our lives. Because God became a man there is no situation, no circumstance, and no difficulty which you and I face alone. Christ says to us, “I am with you always even unto the end of the world” (Matthew 28:20). What a truth to know! What a truth to experience! Jesus is the Eternal NOW.